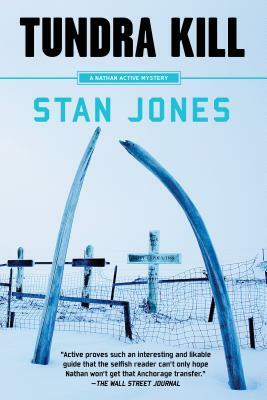 Stan Jones is a native of Alaska. He has worked as an award-winning journalist and a bush pilot. He is the author of five other mysteries in the acclaimed Nathan Active series, including White Sky, Black Ice; Shaman Pass; Frozen Sun; Village of the Ghost Bears; and The Big Empty. "Active is a sturdy, reliable figure, and Jones has a palpable affection for the Alaskan Native culture and his eccentric characters." "Stellar . . . Jones, who was born in Alaska, uses his intimate knowledge of the state, his fondness for the Inupiat people and their traditions, and his eye for politicians’ excruciatingly funny incongruities to produce a well-rounded and appealing portrait of America’s Last Frontier." "Tundra Kill is good, a solid mystery and procedural crime novel with appealing lead characters, an engaging story and a fully-realized setting. It hits all the right genre notes." "We're in the hands of a skilled mystery/crime writer. Without mincing on tone or texture, Jones' writing displays a telling tautness, complemented by comic riff nuances of a dry-witted humorist."